Finally know what it’s like to browse the aisles and aisles of discount fabrics at Marden’s. For the sake of my ‘chauffeur’, I was pretty quick in my browsing, but I could easily see losing my self control in a place like this if I had the time. 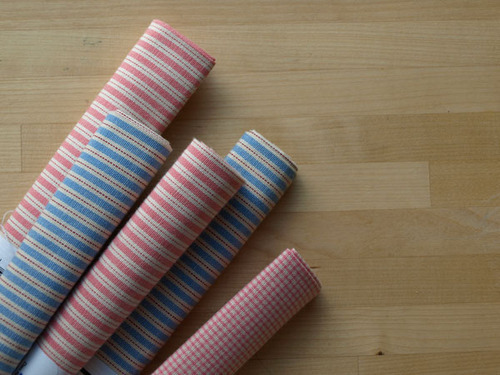 I picked out a couple lovely fabrics, and these fat quarter rolls that remind me a lot of my mom’s Swedish linens. 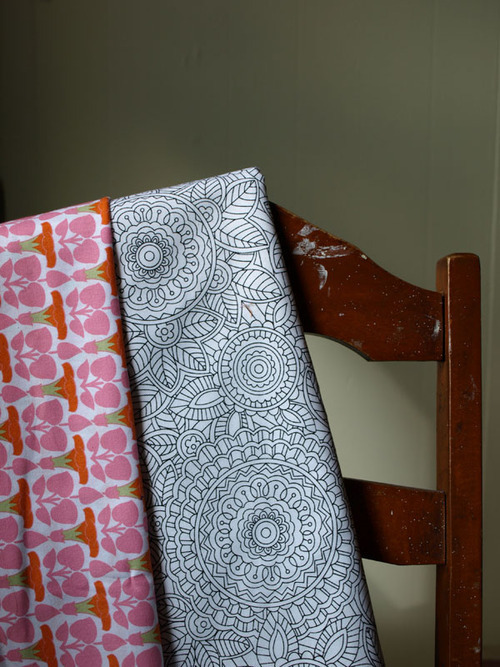 …And most importantly, got fabric to finish Radio’s bed!